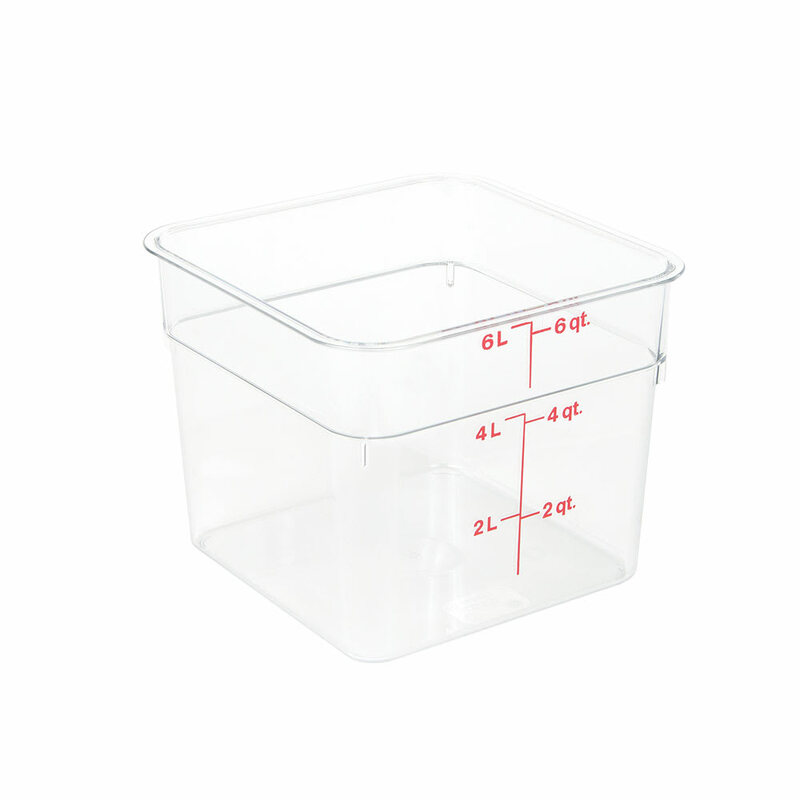 The Cambro 6SFSCW135 Camwear® CamSquare® food container has a 6-quart capacity. It is made of polycarbonate, so it resists odors and stains while the clear material allows visibility of product. Red graduation markings provide an easy way to keep up with inventory. 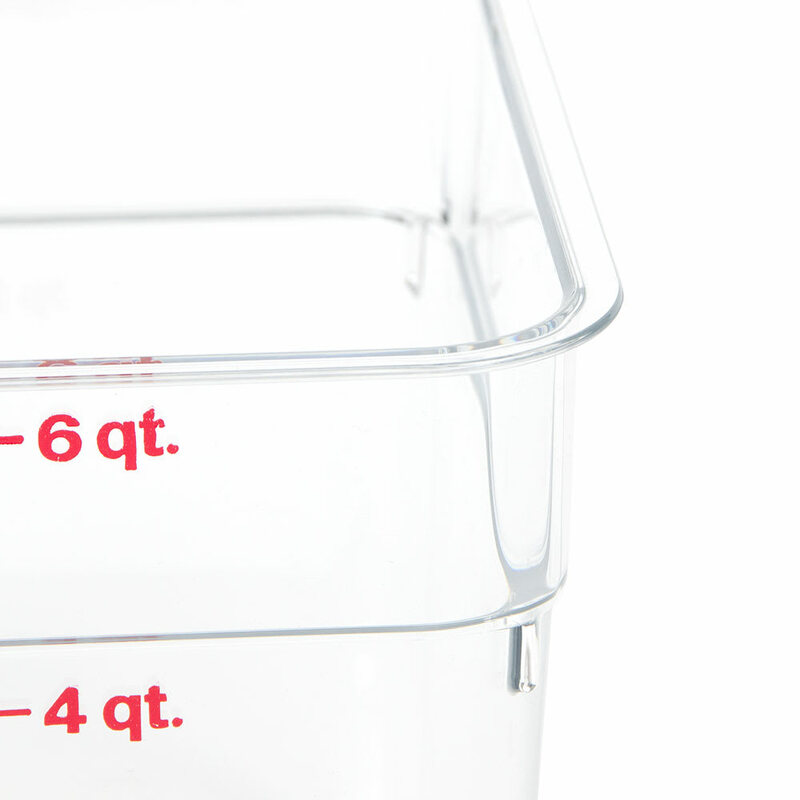 The Cambro 6SFSCW135 Camwear CamSquare food container stacks with other pans to create more storage space. 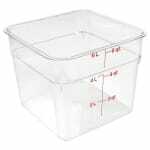 "These square containers are great time-savers. They offer 90% of the functionality of the similar Rubbermaid Commercial product at a reasonable p..."
"These square containers are great time-savers. 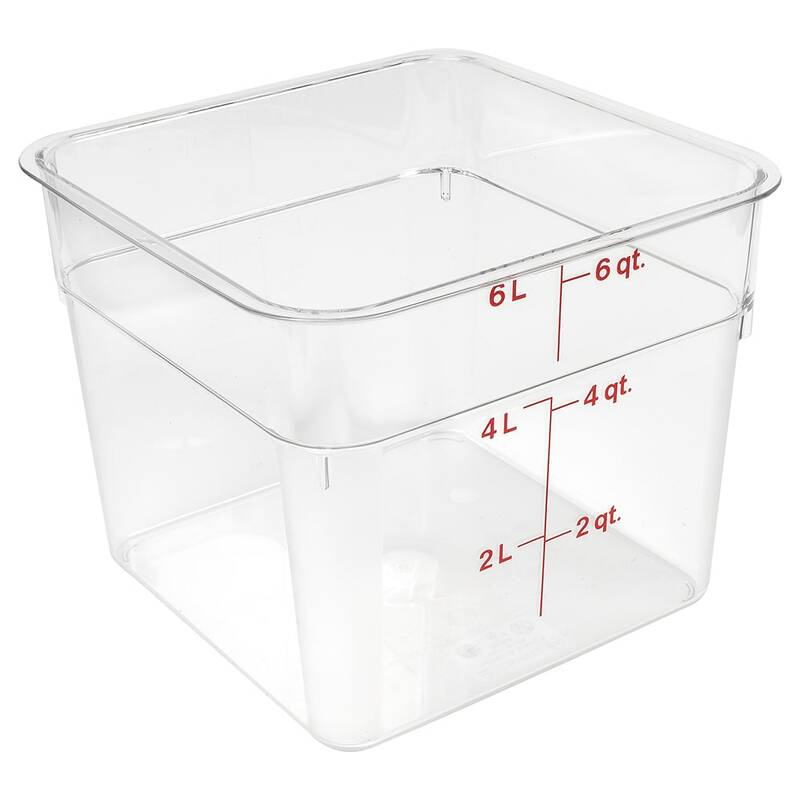 They offer 90% of the functionality of the similar Rubbermaid Commercial product at a reasonable price (when you include the price of the lids, the Rubbermaids are 3-4 times more). They are a bit thinner than the Rubbermaid, which I don't see as a drawback, but they are missing the molded handle, which is a small drawback, because you need two hands to pick them up (I can grab a Rubbermaid containers with one hand). But, considering the price difference, these are a no-brainer. Great stuff. Fast shipping, and well packed. I am a happy Katom customer."